Cataracts develop as part of the aging process, so everyone is at risk eventually. By age 75 about 70?% of people will have cataracts. With age, our eyes lens slowly becomes less flexible, less transparent and thicker. Then areas of the lens become cloudy as protein in the lens begins to clump together. Surgery is offered when the cataract becomes visually significant to the patient and the patient feels that the quality of the vision is impacting on their day to day life. If the cataract is not affecting the patients quality of life, then it will be monitored on a six monthly basis and assessed accordingly by Mr. Golchin. The surgery is performed as a day case procedure. The cataract is removed by a surgical technique called phacoemulsification. 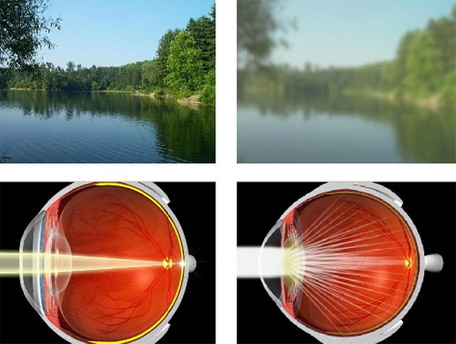 The cataract is replaced with a permanent artificial lens implant. This surgery is carried out through a very small incision which reduces the healing time and speeds up the visual rehabilitation of the eye. This is carried out under topical anaesthesia (needle free) i.e. anaesthetic drops with no injections; this avoids a local anaesthetic injection, which can be painful, and a source of stress for patients. Topical anaesthesia is free from side effects associated with other forms of local anaesthesia and has the added advantage of no disruption to the patients’ anticoagulation treatment (there is no need to stop Aspirin or Warfarin). General anaesthetic is also available when indicated or preferred by the patient. Surgery is very quick (15-20 minutes) and painless for the patient. The patient is discharged once fully recovered. In some cases, the part of the lens covering that supports the IOL (called the capsule) can become cloudy several months or years after the first cataract was removed. This is called an "after cataract" or "secondary cataract." If this occurs and blurs your vision, Mr. Golchin will make an opening in the centre of the cloudy capsule with a laser to allow light to pass through the lens properly again. This procedure called a posterior capsulotomy, takes about five minutes and requires no recovery period. Most people who wear bifocals or reading glasses for near vision may still need to wear glasses after cataract surgery for reading and in some cases even for distance. Best vision is usually achieved once both eyes have been operated on. Please instill the post operative eye drops as instructed. Resume normal medicines. Wear the eye shield supplied for one week after the surgery at night to avoid rubbing the eye while you sleep. Do not swim for at least 2 weeks. Avoid vigorous exercise for at least 2 weeks. The first morning after your surgery you will be seen in the Outpatients Department where your shield will be removed, your eye cleaned and drops instilled. Please bring all your drops with you to the clinic on the day of your follow up appointment. Dear Mr Golchin, Thanks you so very very much for changing my life. I am so much more independant. Every aspect of my life is brighter. I now enjoy my sight instead of hating it.